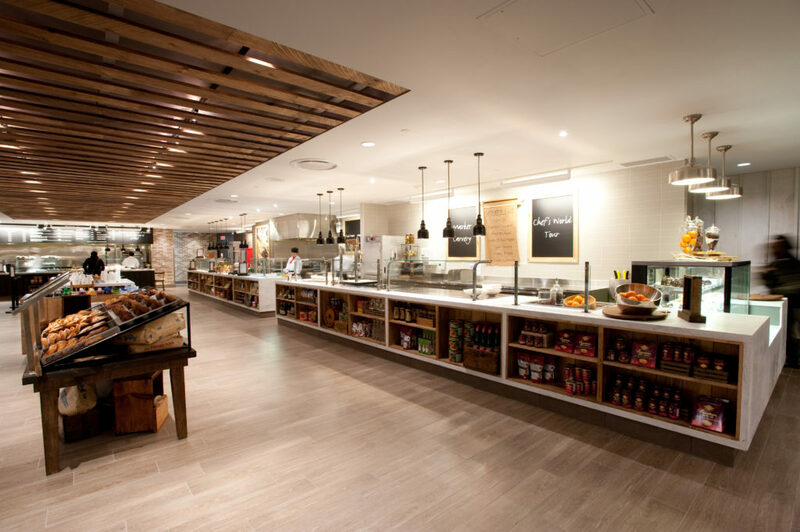 Foodwares, a trend-setting concept, was developed as part of the improved Food & Beverage program offered at The Hudson Bay, in partnership with Oliver & Bonacini Restaurants. 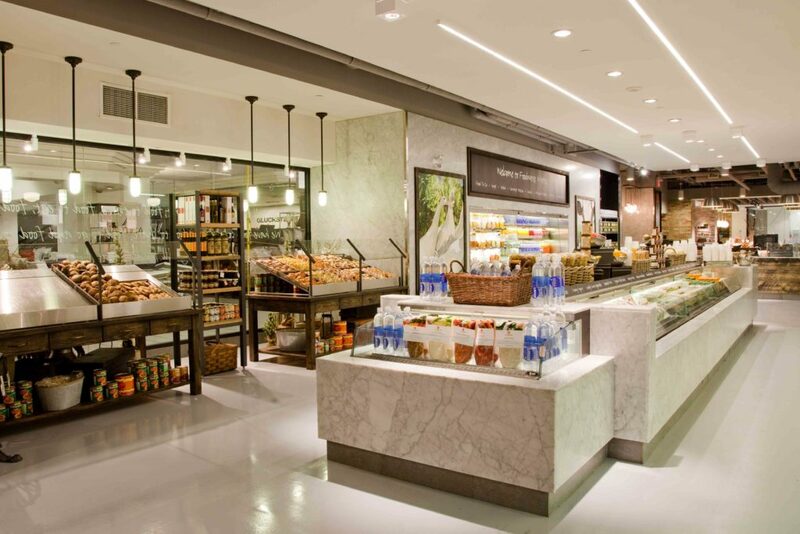 The overall design conveys an urban, bustling food market and eatery for shoppers at the Hudson Bay Queen Street flagship location. 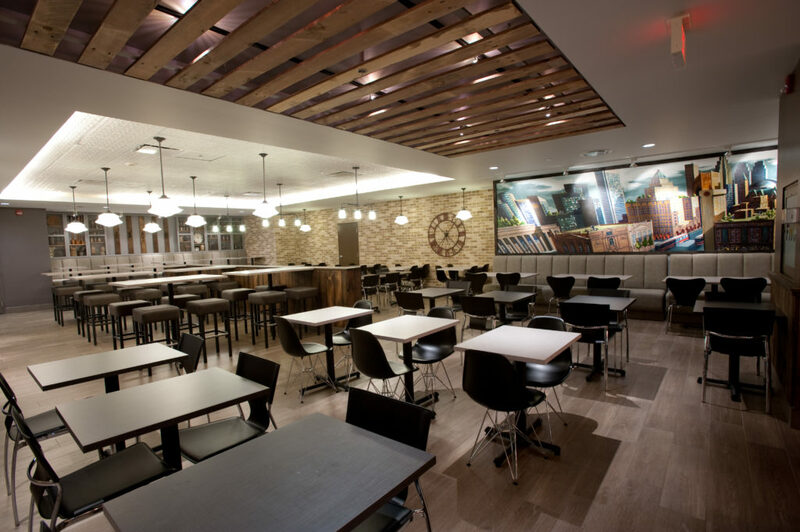 Time worn wood, classic marble counter tops and iron work replicate an old world European marketplace while crisp, simple counter detailing and open wood slat ceilings add the urban flare. 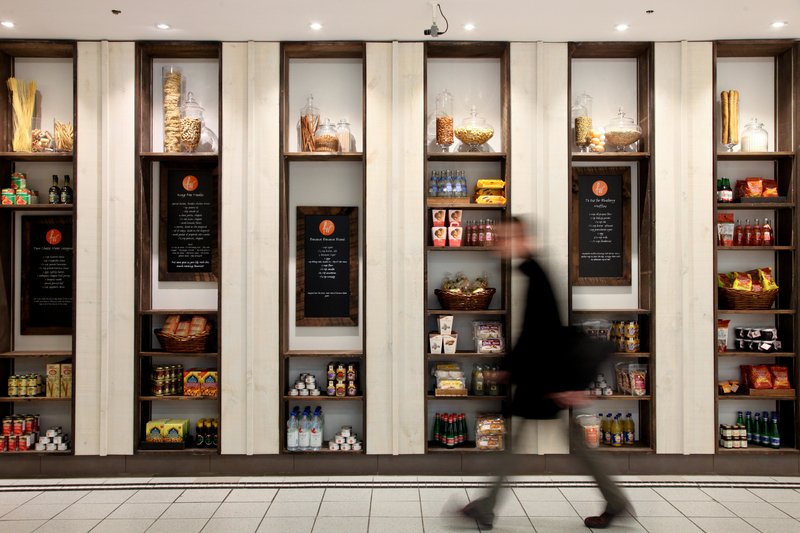 Integrated shelving allowed The Hudson Bay’s “wares” to be merchandised effortlessly throughout the eatery. 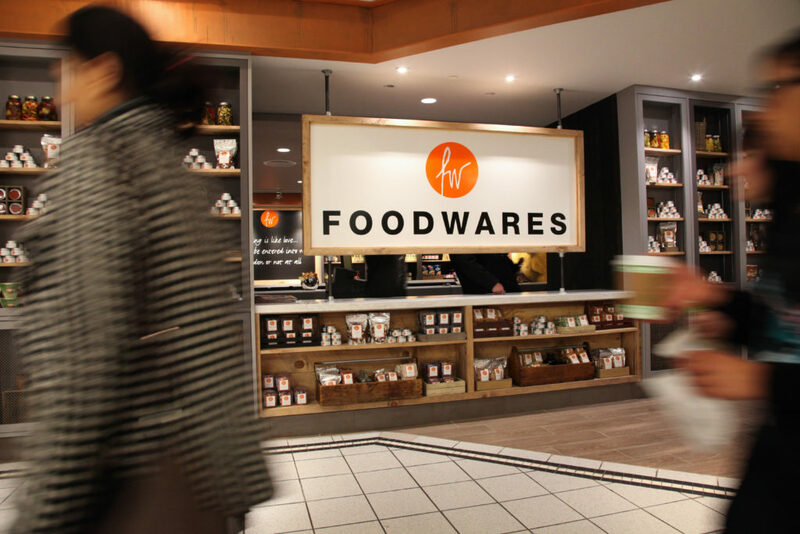 A Market area was developed as a fresh food grab-and-go version of Foodwares, in a separate area of the flagship store. Classic Carrera marble encases tall air screen grab and go’s as well as low coolers showcasing many prepackaged food products. A fresh open window bakery welcomes the customers at the entry, allowing visual interaction with staff. Exposed ceilings, chalkboard menus, whimsical farm animal artwork and iron details add to the reinforce the urban market feel and concept.